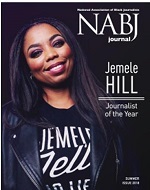 NABJ awards scholarships annually to deserving students interested in pursuing careers in journalism. Scholarships are worth up to $3,000. 2018 SCHOLARSHIP APPLICATIONS ARE COMING SOON. All applications must be submitted online by the specified deadline. Scholarship awards are disbursed in one payment to the recipient's school upon proof of enrollment. 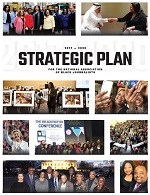 A scholarship selection committee will select the winners based on NABJ's scoring system and adherence to the application guidelines and requirements. For more information about NABJ's scholarships, please contact students@nabj.org.